Every mobile app developers’ objective is to develop a user friendly, out of the box app that is an instant hit. Everyone dreams of media adulation and a top spot in the popular App stores, while also desiring the app to benefit the target audience. You could be a mobile app developer wanting to develop innovative mobile apps or an entrepreneur wanting to develop an app that will carve a niche for itself in Enterprise mobility services. Or you could just be an individual interested to learn more about Mobile app development and develop one for your own use. Whatever your choice is, this blog is sure to help you. 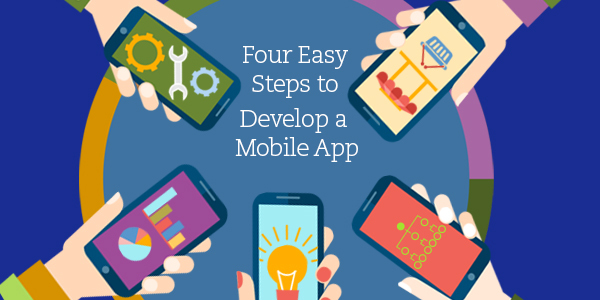 Four Easy Steps To Develop A Mobile App. Step 1: Hit on an idea or identify a need that may require a mobile app: Why do you want to develop a mobile app in the first place? Is it targeted towards a problem? To promote a business? For entertainment? Find the right need to develop a mobile app. Make use of the Google Keyword planner to find out what people are searching for the most. Based on the findings, you could choose an idea. Step 2: Create clear flow chart: Based on the market, pen down a flow chart that shows what you need in your app and how to proceed further. Remember the fact that your app should be user friendly and easy to navigate. Be sure that you have included all the details that your users may expect. Spend time in deciding what needs to be added or removed. Step 3: Design an attractive and user friendly app: An attractive design and user friendly app will definitely draw more customers. 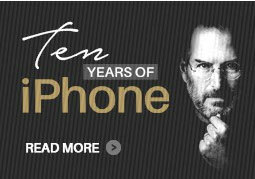 An app that is aesthetically designed and technologically sound is sure to be a hit. Next, look out for a good mobile app designer and developer. Before hiring one, check the credentials. If available, have a look at the apps designed earlier. Weigh on the pros and cons. Register an account with the App Store: The final step will be to sell your app. Register with the popular app stores. Each of them come with different annual subscription plans. On submitting your app you just have to follow the last step of analysis. Use a good analytics tool to analyze data like how many have downloaded the app, user engagement and reviews. Check and decide if any improvements or enhancements could be effected in the next version. Developing a mobile app is fun provided you follow the steps diligently. Go ahead! Develop an attractive Mobile App using the above mentioned simple steps.